Later installments in the series add new components and options that enable you to customize vessels and their roles to suit your campaign. Traders, Liners, and Transports provides trade rules, and answers "How do I pay for a ship?" Warships and Pirates covers naval operations and piracy, and expands the core Spaceships system to include hex-based tactical maneuvering and combat for use with counters or miniatures. Fighters, Carriers, and Mecha brings greater detail to dogfights, from tiny-but-agile fighters to the carriers that ferry them into battle. Exploration and Colony Spacecraft provides information on vessels designed to survey the stars, plus information on expeditions and exploratory hazards. Mining and Industrial Spacecraft gives new design options and details on spacecraft designed to tap the void's economic potential. Divergent and Paranormal Tech expands ship construction options with unusual and variant spaceship design options – ships can harness the power of magic, steam, or life! Transhuman Spacecraft converts the vessels and design considerations from the Transhuman Space setting, including information on how to incorporate those craft into alternate campaigns. Each volume is also a catalog, with full descriptions and stats for dozens of ready-to-go sample spacecraft! Pyramid #3/18: Space Exploration – Includes Spaceships stats for a deep space station. Pyramid #3/30: Spaceships – An entire issue devoted to sample vessels and additional options! Pyramid #3/34: Alternate GURPS – Features David L. Pulver's look at alternate and variant design options for Spaceships. Pyramid #3/40: Vehicles – Presents more design possibilities that push the Spaceships system to new and interesting places . . . with mecha! Pyramid #3/49: World-Hopping – Features a look at generational ships, including a Spaceships design. Pyramid #3/55: Military Sci-Fi – With several military-minded Spaceships vessels. Pyramid #3/64: Pirates and Swashbucklers – Cutting-edge rules for airships and other "impossible" craft! 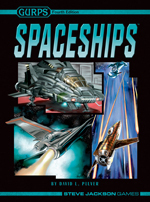 Pyramid #3/71: Spaceships II – More ships, options, and spacefaring insight! 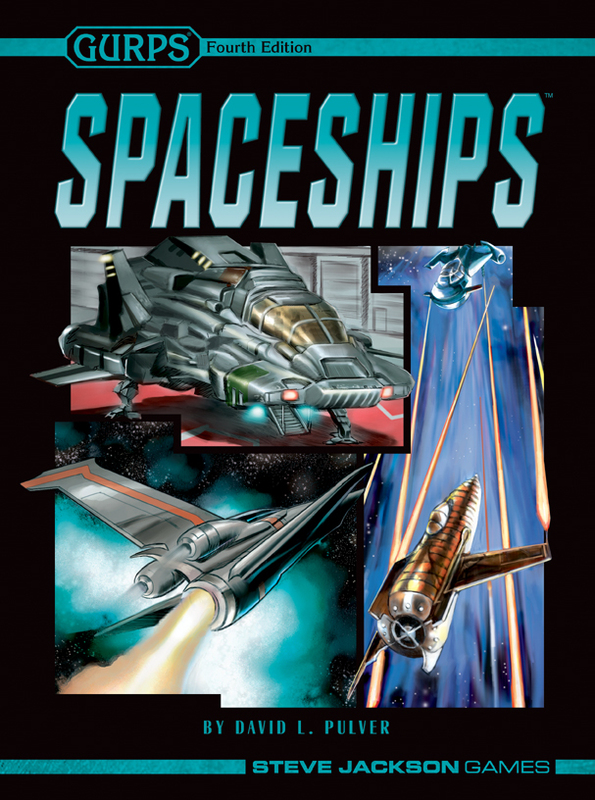 Pyramid #3/94: Spaceships III – Pick just the right options from the Spaceships series to suit your needs, dock aboard an immense pirate space station, and more. Pyramid #3/111: Combat II – Includes "Astroduel!" . . . a ready-to-use campaign featuring small personal spacecraft in a dangerous universe.